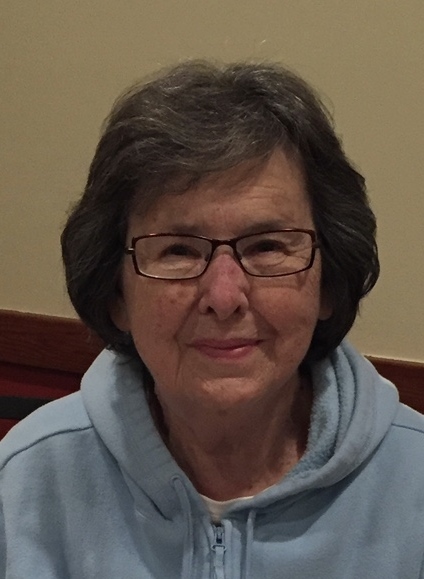 Of Jackson, MI passed away on February 6, 2019 under the loving care of her family and Henry Ford Allegiance Hospice Home. She was a loving mother, grandmother, and great-grandmother. Barbara is survived by her children, Richard (Kathleen), Michael (Regina), Patricia (Joseph) Skrzynski, and Robert (Cheryl); grandchildren, Brian (Leslie) Hoskins, Christopher (Lauren) Hoskins, Marisa (Johnny) Brown, Matthew and Jacob Skrzynski, Aaron and Justin Hoskins, Katlyn and Ben Hoskins, Ralph and Gabby Pierce; 9 great-grandchildren; brother, William Tittle; brother in-law, William Hill; and many nieces and nephews. She was preceded in death by her husband of 51 years, Richard (Ace); and two sisters, Susan Mudica and Patricia Hill. A celebration of her life will be held at Watson Funeral Chapel in Jackson on Monday, February 11, 2019 at 11:00am; Reverend Kerry Taylor-Snyder officiating. According to her wishes cremation will follow the service. In lieu of flowers, memorial contributions may be made to Henry Ford Allegiance Hospice Home, 2150 Kingsbrooke Dr., Jackson, MI 49202.